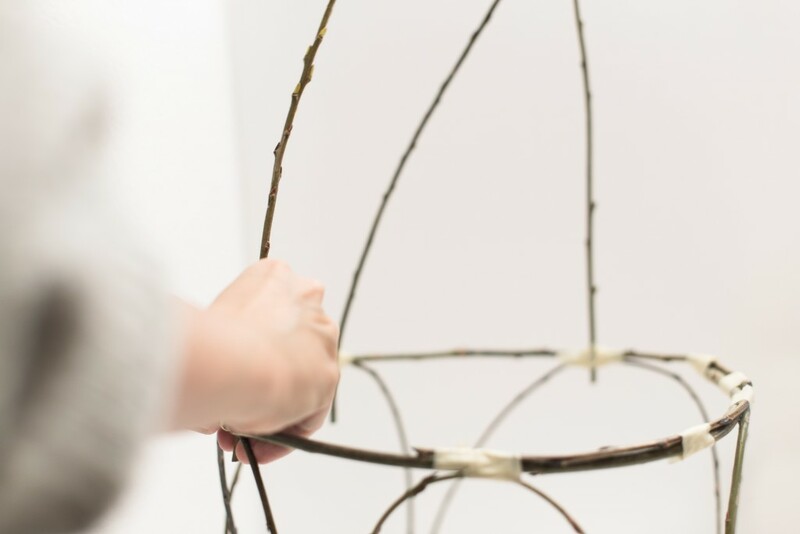 There are never ending possibilities when building a willow lantern. 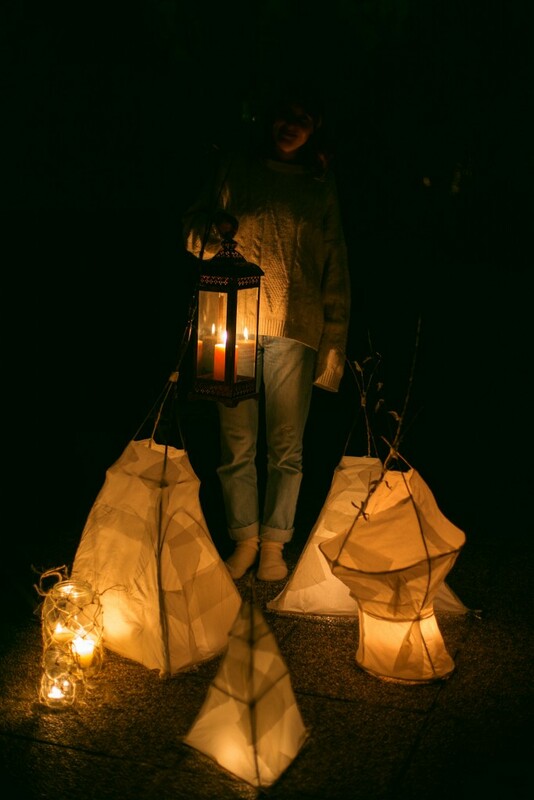 Just remember to divide your lantern into as many sections as possible, as it makes it easier to paste the glued tissue paper on top. 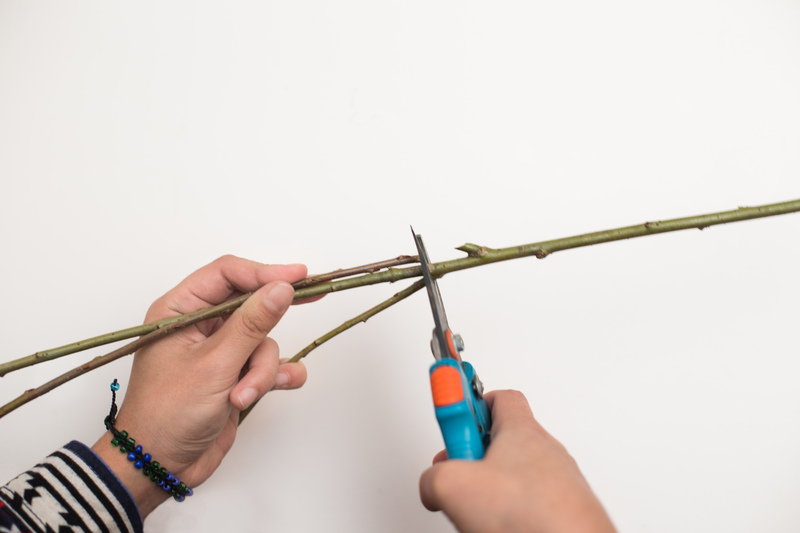 When you have decided on your lantern construction, start cutting your branches into desired length. You can use both. Dried willow branches from the shop (these you need to put into water for a while before bending it into form) or fresh branches from a willow tree. We used fresh branches, once dried they keep their form. First tape your base form, on which you can build on. 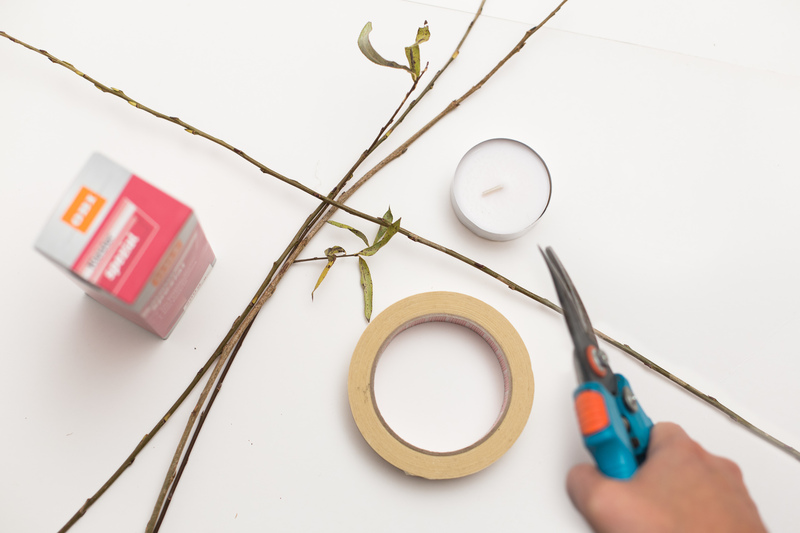 You can also tape a cross into the middle of your base form on which you can later fix a candlelight. 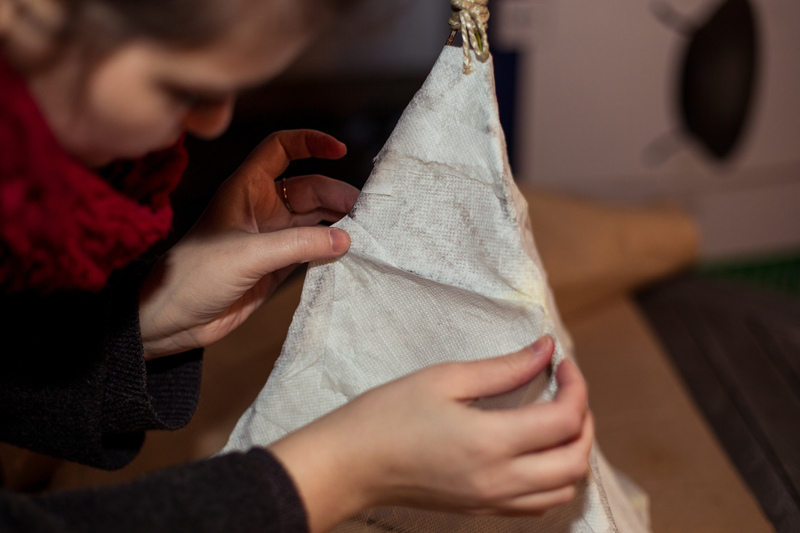 … Later work the second layer on top. 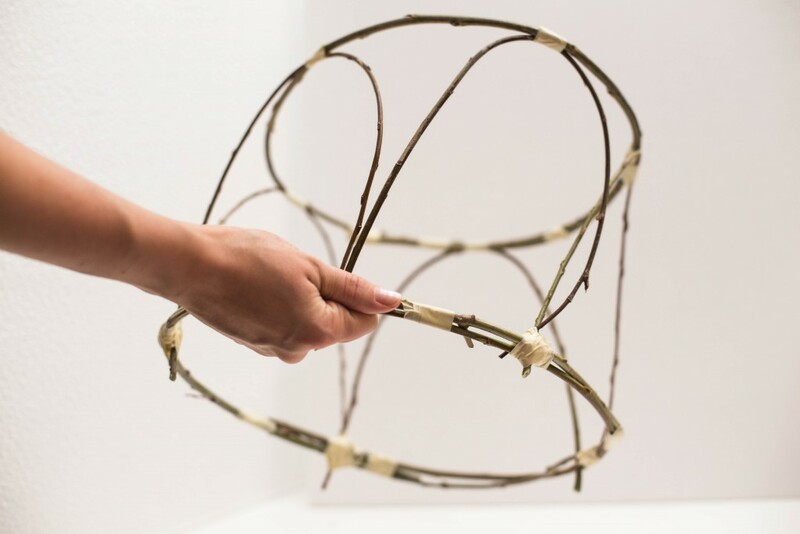 I have decided on a tower form so my second layer looked like a willow flower on which I then taped another circle. 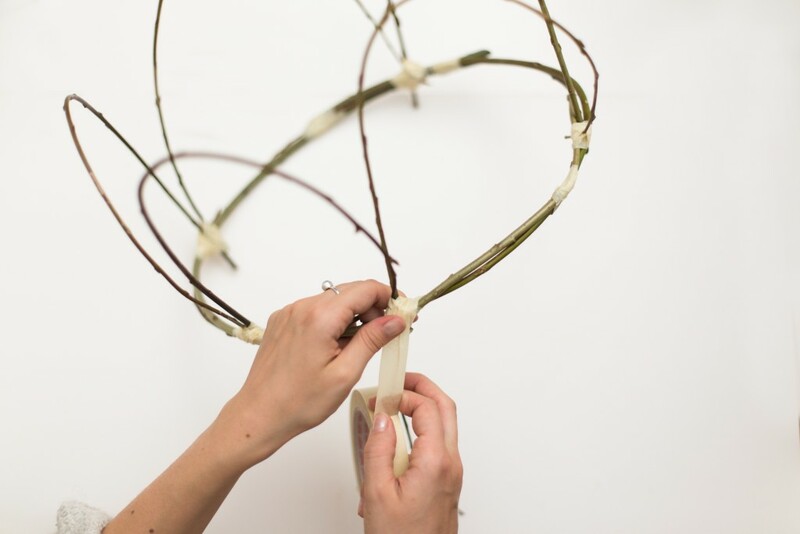 From this I sticked some some vertical branches to get the right shape. 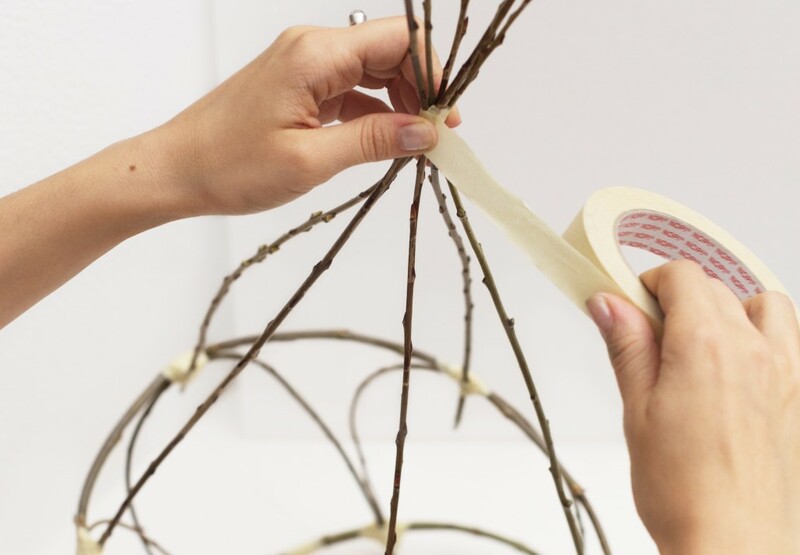 … Fix the vertical branches with some masking tape and if you like you can decorate it with a natural cord. 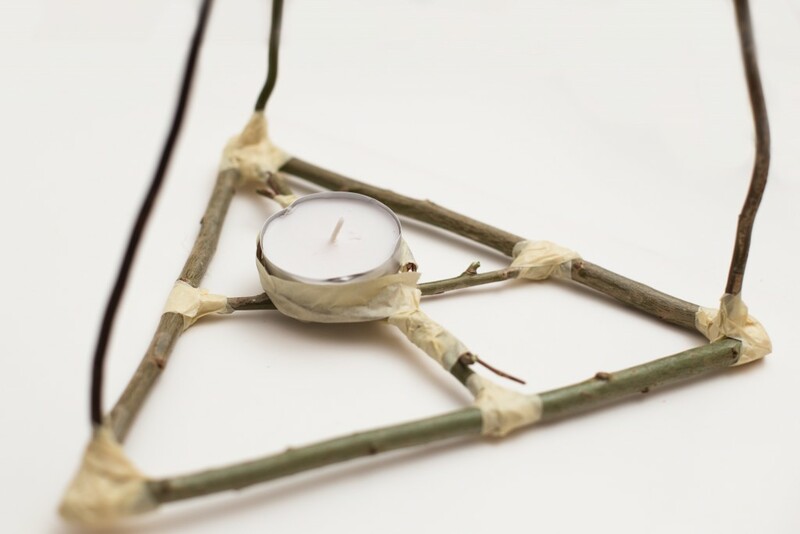 We used candles that already had an aluminium housing, where we could easily make a hole with a pin and fix it onto the cross with a wire. Make sure to fix it pretty stable so your lantern doesn’t catch fire. Be creative with the way how you fix your candle. Fill a jar with water and constantly pour the paste powder into the jar while stirring. When the mixture has a pudding like consistency it is ready to use. 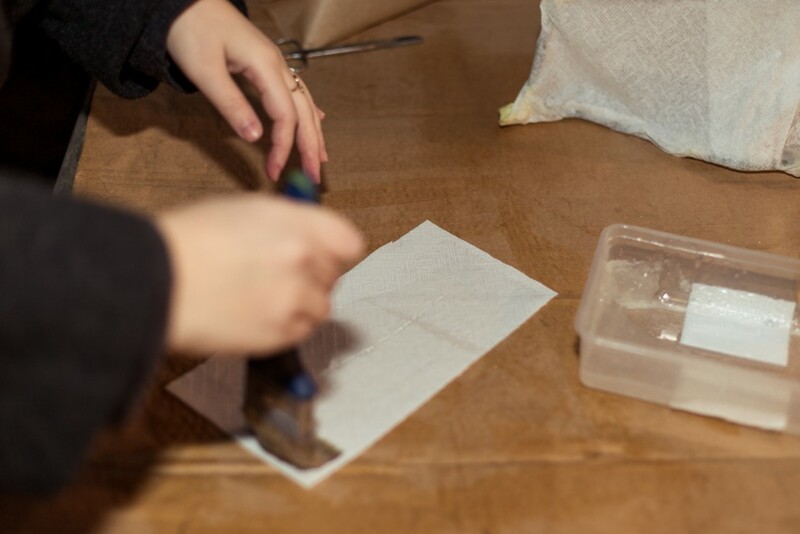 Put a plastic sheet or some cover on your workspace before getting ready. Spread the paste over the whole tissue paper with a sponge or a brush, depending on the strength of your paper. 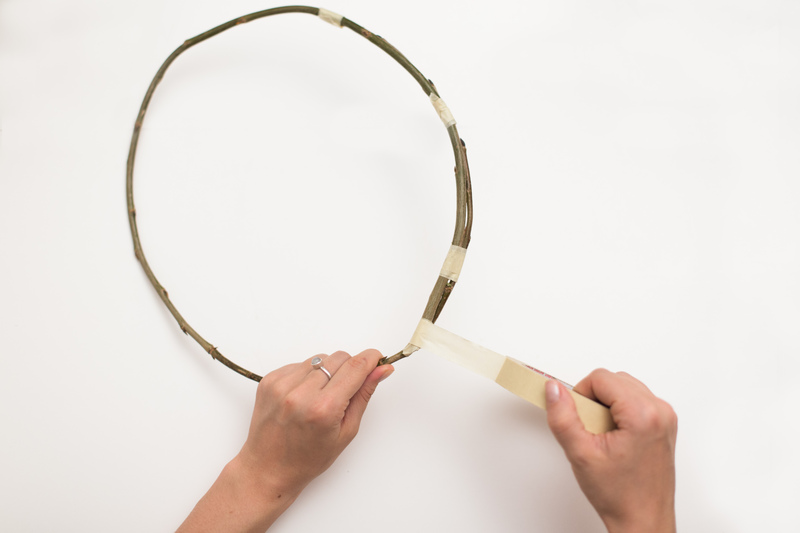 Then paste the paper on top of your construction. Let it dry over night.